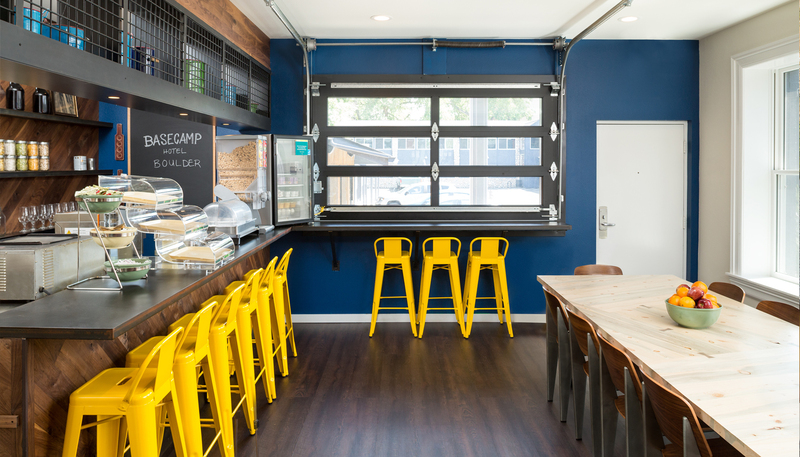 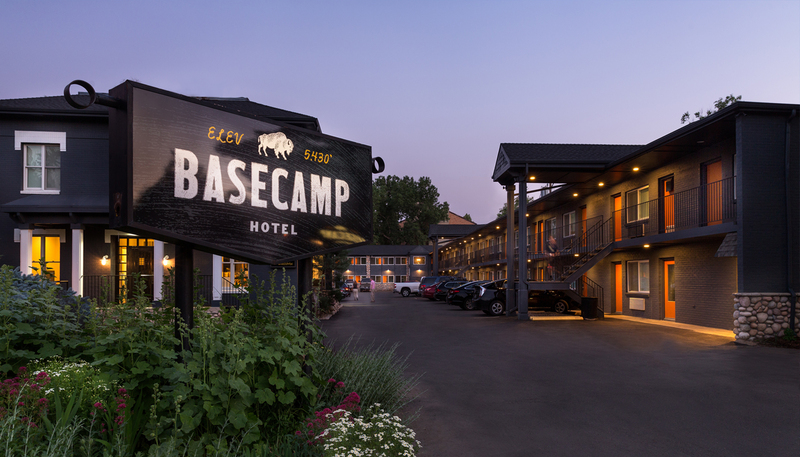 The Basecamp Hotel brand was conceived as a boutique chain offering a home away from home experience for the adventure- oriented traveler. 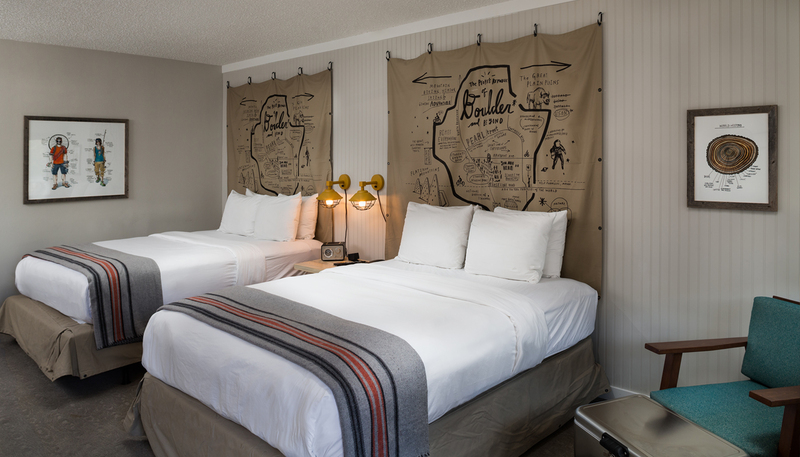 It’s no wonder then that the brand chose Boulder as the venue for its latest hotel concept. 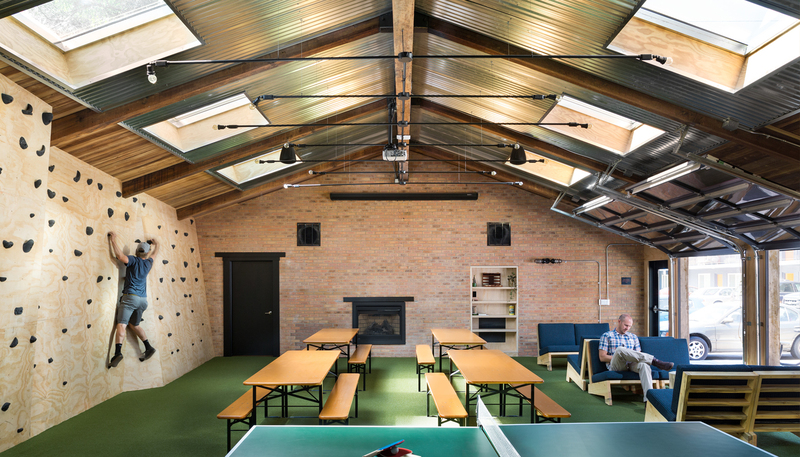 A renovation of an existing mid-century hotel, the project design aims to bring a modern, funky vibe to the hotel while embedding references to the surrounding nature and all the activities it offers to guests. 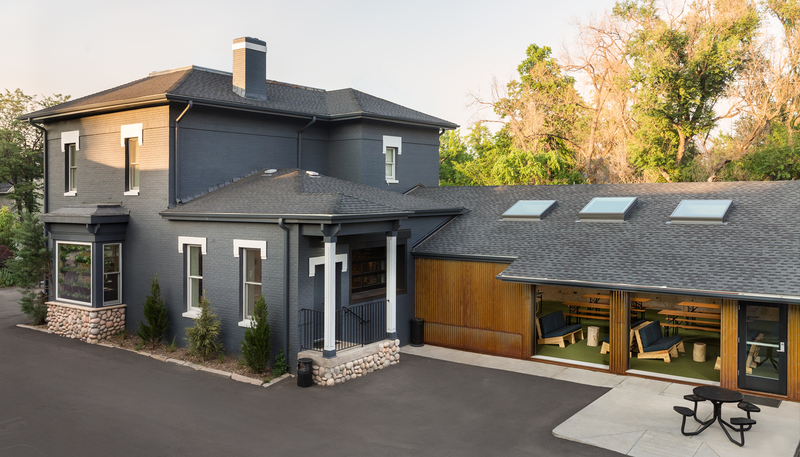 The design team was conscious to offer creative and contemporary solutions for traditional offerings. 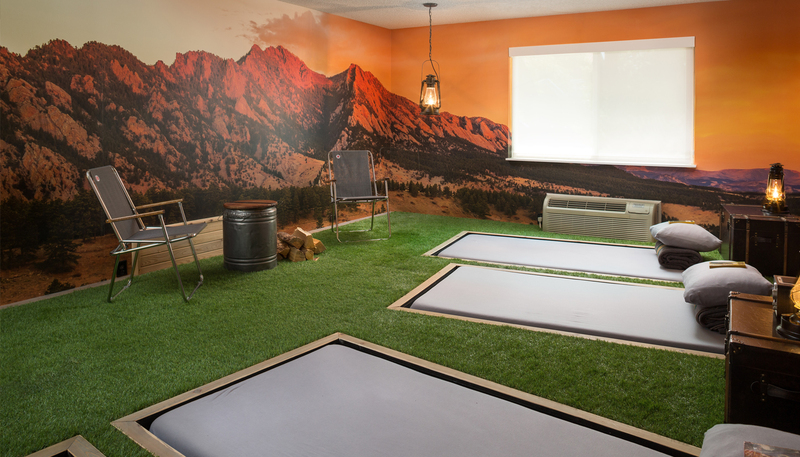 Amenities to be added to the property include a lobby bar, a yoga deck with fire pits, a central lounge area complete with a climbing wall and in-room conveniences like wall-hung bike racks.